Scientists at the California NanoSystems Institute at UCLA have developed a new technique for identifying cancer cells in blood samples faster and more accurately than the current standard methods. In one common approach to testing for cancer, doctors add biochemicals to blood samples. Those biochemicals attach biological “labels” to the cancer cells, and those labels enable instruments to detect and identify them. However, the biochemicals can damage the cells and render the samples unusable for future analyses. There are other current techniques that don’t use labeling but can be inaccurate because they identify cancer cells based only on one physical characteristic. The new technique images cells without destroying them and can identify 16 physical characteristics — including size, granularity and biomass — instead of just one. A “photonic time stretch” microscope, which is capable of quickly imaging cells in blood samples. Invented by Barham Jalali, professor and Northrop-Grumman Optoelectronics Chair in electrical engineering, it works by taking pictures of flowing blood cells using laser bursts (similar to how a camera uses a flash). Each flash only lasts nanoseconds (billionths of a second) to avoid damage to cells, but that normally means the images are both too weak to be detected and too fast to be digitized by normal instrumentation. The new microscope overcomes those challenges by using specially designed optics that amplify and boost the clarity of the images, and simultaneously slow them down enough to be detected and digitized at a rate of 36 million images per second. A deep learning computer program, which identifies cancer cells with more than 95 percent accuracy. Deep learning is a form of artificial intelligence that uses complex algorithms to extract patterns and knowledge from rich multidimenstional datasets, with the goal of achieving accurate decision making. The study was published in the open-access journal Nature Scientific Reports. The researchers write in the paper that the system could lead to data-driven diagnoses by cells’ physical characteristics, which could allow quicker and earlier diagnoses of cancer, for example, and better understanding of the tumor-specific gene expression in cells, which could facilitate new treatments for disease. The research was supported by NantWorks, LLC. Label-free cell analysis is essential to personalized genomics, cancer diagnostics, and drug development as it avoids adverse effects of staining reagents on cellular viability and cell signaling. However, currently available label-free cell assays mostly rely only on a single feature and lack sufficient differentiation. Also, the sample size analyzed by these assays is limited due to their low throughput. Here, we integrate feature extraction and deep learning with high-throughput quantitative imaging enabled by photonic time stretch, achieving record high accuracy in label-free cell classification. Our system captures quantitative optical phase and intensity images and extracts multiple biophysical features of individual cells. These biophysical measurements form a hyperdimensional feature space in which supervised learning is performed for cell classification. We compare various learning algorithms including artificial neural network, support vector machine, logistic regression, and a novel deep learning pipeline, which adopts global optimization of receiver operating characteristics. As a validation of the enhanced sensitivity and specificity of our system, we show classification of white blood T-cells against colon cancer cells, as well as lipid accumulating algal strains for biofuel production. This system opens up a new path to data-driven phenotypic diagnosis and better understanding of the heterogeneous gene expressions in cells. Deep learning extracts patterns and knowledge from rich multidimenstional datasets. While it is extensively used for image recognition and speech processing, its application to label-free classification of cells has not been exploited. Flow cytometry is a powerful tool for large-scale cell analysis due to its ability to measure anisotropic elastic light scattering of millions of individual cells as well as emission of fluorescent labels conjugated to cells1,2. However, each cell is represented with single values per detection channels (forward scatter, side scatter, and emission bands) and often requires labeling with specific biomarkers for acceptable classification accuracy1,3. Imaging flow cytometry4,5 on the other hand captures images of cells, revealing significantly more information about the cells. For example, it can distinguish clusters and debris that would otherwise result in false positive identification in a conventional flow cytometer based on light scattering6. In addition to classification accuracy, the throughput is another critical specification of a flow cytometer. Indeed high throughput, typically 100,000 cells per second, is needed to screen a large enough cell population to find rare abnormal cells that are indicative of early stage diseases. However there is a fundamental trade-off between throughput and accuracy in any measurement system7,8. For example, imaging flow cytometers face a throughput limit imposed by the speed of the CCD or the CMOS cameras, a number that is approximately 2000 cells/s for present systems9. Higher flow rates lead to blurred cell images due to the finite camera shutter speed. Many applications of flow analyzers such as cancer diagnostics, drug discovery, biofuel development, and emulsion characterization require classification of large sample sizes with a high-degree of statistical accuracy10. This has fueled research into alternative optical diagnostic techniques for characterization of cells and particles in flow. Recently, our group has developed a label-free imaging flow-cytometry technique based on coherent optical implementation of the photonic time stretch concept11. This instrument overcomes the trade-off between sensitivity and speed by using Amplified Time-stretch Dispersive Fourier Transform12,13,14,15. In time stretched imaging16, the object’s spatial information is encoded in the spectrum of laser pulses within a pulse duration of sub-nanoseconds (Fig. 1). Each pulse representing one frame of the camera is then stretched in time so that it can be digitized in real-time by an electronic analog-to-digital converter (ADC). The ultra-fast pulse illumination freezes the motion of high-speed cells or particles in flow to achieve blur-free imaging. Detection sensitivity is challenged by the low number of photons collected during the ultra-short shutter time (optical pulse width) and the drop in the peak optical power resulting from the time stretch. These issues are solved in time stretch imaging by implementing a low noise-figure Raman amplifier within the dispersive device that performs time stretching8,11,16. Moreover, warped stretch transform17,18can be used in time stretch imaging to achieve optical image compression and nonuniform spatial resolution over the field-of-view19. In the coherent version of the instrument, the time stretch imaging is combined with spectral interferometry to measure quantitative phase and intensity images in real-time and at high throughput20. Integrated with a microfluidic channel, coherent time stretch imaging system in this work measures both quantitative optical phase shift and loss of individual cells as a high-speed imaging flow cytometer, capturing 36 million images per second in flow rates as high as 10 meters per second, reaching up to 100,000 cells per second throughput. Box 1: The pulse train is spatially dispersed into a train of rainbow flashes illuminating the target as line scans. The spatial features of the target are encoded into the spectrum of the broadband optical pulses, each representing a one-dimensional frame. The ultra-short optical pulse illumination freezes the motion of cells during high speed flow to achieve blur-free imaging with a throughput of 100,000 cells/s. The phase shift and intensity loss at each location within the field of view are embedded into the spectral interference patterns using a Michelson interferometer. Box 2: The interferogram pulses were then stretched in time so that spatial information could be mapped into time through time-stretch dispersive Fourier transform (TS-DFT), and then captured by a single pixel photodetector and an analog-to-digital converter (ADC). The loss of sensitivity at high shutter speed is compensated by stimulated Raman amplification during time stretch. Box 3: (a) Pulse synchronization; the time-domain signal carrying serially captured rainbow pulses is transformed into a series of one-dimensional spatial maps, which are used for forming line images. (b) The biomass density of a cell leads to a spatially varying optical phase shift. When a rainbow flash passes through the cells, the changes in refractive index at different locations will cause phase walk-off at interrogation wavelengths. Hilbert transformation and phase unwrapping are used to extract the spatial phase shift. (c) Decoding the phase shift in each pulse at each wavelength and remapping it into a pixel reveals the protein concentration distribution within cells. The optical loss induced by the cells, embedded in the pulse intensity variations, is obtained from the amplitude of the slowly varying envelope of the spectral interferograms. Thus, quantitative optical phase shift and intensity loss images are captured simultaneously. 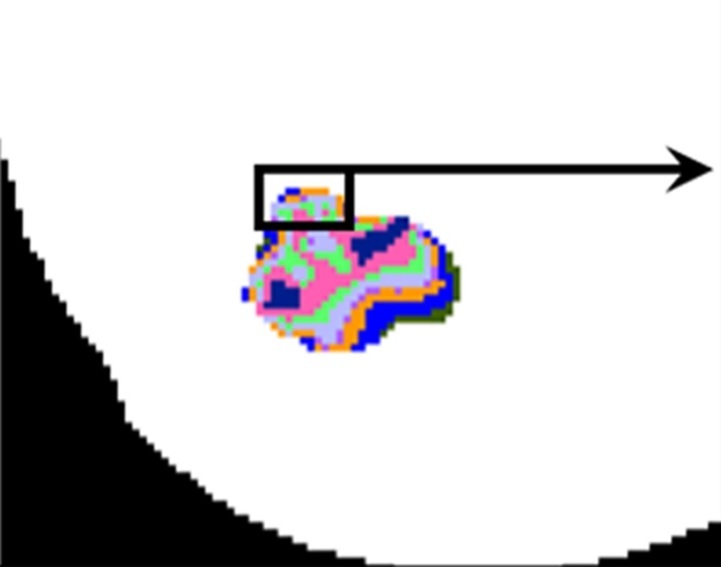 Both images are calibrated based on the regions where the cells are absent. Cell features describing morphology, granularity, biomass, etc are extracted from the images. (d) These biophysical features are used in a machine learning algorithm for high-accuracy label-free classification of the cells. On another note, surface markers used to label cells, such as EpCAM21, are unavailable in some applications; for example, melanoma or pancreatic circulating tumor cells (CTCs) as well as some cancer stem cells are EpCAM-negative and will escape EpCAM-based detection platforms22. Furthermore, large-population cell sorting opens the doors to downstream operations, where the negative impacts of labels on cellular behavior and viability are often unacceptable23. Cell labels may cause activating/inhibitory signal transduction, altering the behavior of the desired cellular subtypes, potentially leading to errors in downstream analysis, such as DNA sequencing and subpopulation regrowth. In this way, quantitative phase imaging (QPI) methods24,25,26,27 that categorize unlabeled living cells with high accuracy are needed. Coherent time stretch imaging is a method that enables quantitative phase imaging at ultrahigh throughput for non-invasive label-free screening of large number of cells. In this work, the information of quantitative optical loss and phase images are fused into expert designed features, leading to a record label-free classification accuracy when combined with deep learning. Image mining techniques are applied, for the first time, to time stretch quantitative phase imaging to measure biophysical attributes including protein concentration, optical loss, and morphological features of single cells at an ultrahigh flow rate and in a label-free fashion. These attributes differ widely28,29,30,31 among cells and their variations reflect important information of genotypes and physiological stimuli32. The multiplexed biophysical features thus lead to information-rich hyper-dimensional representation of the cells for label-free classification with high statistical precision. We further improved the accuracy, repeatability, and the balance between sensitivity and specificity of our label-free cell classification by a novel machine learning pipeline, which harnesses the advantages of multivariate supervised learning, as well as unique training by evolutionary global optimization of receiver operating characteristics (ROC). To demonstrate sensitivity, specificity, and accuracy of multi-feature label-free flow cytometry using our technique, we classified (1) OT-IIhybridoma T-lymphocytes and SW-480 colon cancer epithelial cells, and (2) Chlamydomonas reinhardtii algal cells (herein referred to as Chlamydomonas) based on their lipid content, which is related to the yield in biofuel production. Our preliminary results show that compared to classification by individual biophysical parameters, our label-free hyperdimensional technique improves the detection accuracy from 77.8% to 95.5%, or in other words, reduces the classification inaccuracy by about five times. …….. The decomposed components of sequential line scans form pairs of spatial maps, namely, optical phase and loss images as shown in Fig. 2 (see Section Methods: Image Reconstruction). These images are used to obtain biophysical fingerprints of the cells8,36. With domain expertise, raw images are fused and transformed into a suitable set of biophysical features, listed in Table 1, which the deep learning model further converts into learned features for improved classification. The optical loss images of the cells are affected by the attenuation of multiplexed wavelength components passing through the cells. The attenuation itself is governed by the absorption of the light in cells as well as the scattering from the surface of the cells and from the internal cell organelles. The optical loss image is derived from the low frequency component of the pulse interferograms. 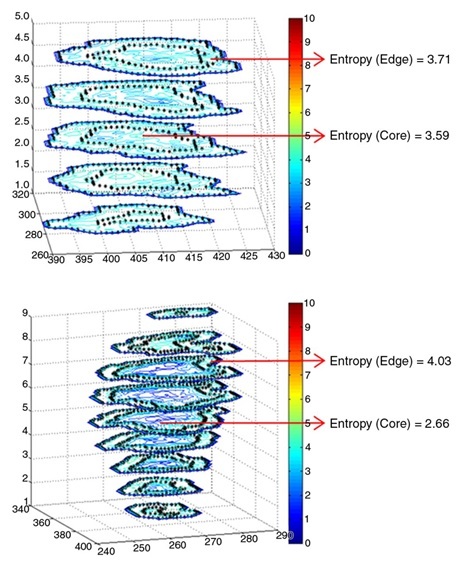 The optical phase image is extracted from the analytic form of the high frequency component of the pulse interferograms using Hilbert Transformation, followed by a phase unwrapping algorithm. Details of these derivations can be found in Section Methods. Also, supplementary Videos 1 and 2 show measurements of cell-induced optical path length difference by TS-QPI at four different points along the rainbow for OT-II and SW-480, respectively. Table 1: List of extracted features. Figure 3: Biophysical features formed by image fusion. (a) Pairwise correlation matrix visualized as a heat map. The map depicts the correlation between all major 16 features extracted from the quantitative images. Diagonal elements of the matrix represent correlation of each parameter with itself, i.e. the autocorrelation. The subsets in box 1, box 2, and box 3 show high correlation because they are mainly related to morphological, optical phase, and optical loss feature categories, respectively. (b) Ranking of biophysical features based on their AUCs in single-feature classification. Blue bars show performance of the morphological parameters, which includes diameter along the interrogation rainbow, diameter along the flow direction, tight cell area, loose cell area, perimeter, circularity, major axis length, orientation, and median radius. As expected, morphology contains most information, but other biophysical features can contribute to improved performance of label-free cell classification. Orange bars show optical phase shift features i.e. optical path length differences and refractive index difference. Green bars show optical loss features representing scattering and absorption by the cell. The best performed feature in these three categories are marked in red. Figure 4: Machine learning pipeline. Information of quantitative optical phase and loss images are fused to extract multivariate biophysical features of each cell, which are fed into a fully-connected neural network. The neural network maps input features by a chain of weighted sum and nonlinear activation functions into learned feature space, convenient for classification. This deep neural network is globally trained via area under the curve (AUC) of the receiver operating characteristics (ROC). Each ROC curve corresponds to a set of weights for connections to an output node, generated by scanning the weight of the bias node. The training process maximizes AUC, pushing the ROC curve toward the upper left corner, which means improved sensitivity and specificity in classification. …. How to cite this article: Chen, C. L. et al. Deep Learning in Label-free Cell Classification. Scientists at the University of California San Diego School of Medicine and the Broad Institute say they have developed a new computer algorithm—REVEALER—to better characterize the functional context of genomic variations in cancer. The tool, described in a paper (“Characterizing Genomic Alterations in Cancer by Complementary Functional Associations”) published in Nature Biotechnology, is designed to help researchers identify groups of genetic variations that together associate with a particular way cancer cells get activated, or how they respond to certain treatments. REVEALER is available for free to the global scientific community via the bioinformatics software portal GenePattern.org. “This computational analysis method effectively uncovers the functional context of genomic alterations, such as gene mutations, amplifications, or deletions, that drive tumor formation,” said senior author Pablo Tamayo, Ph.D., professor and co-director of the UC San Diego Moores Cancer Center Genomics and Computational Biology Shared Resource. Dr. Tamayo and team tested REVEALER using The Cancer Genome Atlas (TCGA), the NIH’s database of genomic information from more than 500 human tumors representing many cancer types. REVEALER revealed gene alterations associated with the activation of several cellular processes known to play a role in tumor development and response to certain drugs. Some of these gene mutations were already known, but others were new. For example, the researchers discovered new activating genomic abnormalities for beta-catenin, a cancer-promoting protein, and for the oxidative stress response that some cancers hijack to increase their viability. REVEALER requires as input high-quality genomic data and a significant number of cancer samples, which can be a challenge, according to Dr. Tamayo. But REVEALER is more sensitive at detecting similarities between different types of genomic features and less dependent on simplifying statistical assumptions, compared to other methods, he adds. “This study demonstrates the potential of combining functional profiling of cells with the characterizations of cancer genomes via next-generation sequencing,” said co-senior author Jill P. Mesirov, Ph.D., professor and associate vice chancellor for computational health sciences at UC San Diego School of Medicine. Jong Wook Kim, Olga B Botvinnik, Omar Abudayyeh, Chet Birger, et al. The attrition rates for preclinical development of oncology therapeutics are particularly dismal due to a complex set of factors which includes 1) the failure of pre-clinical models to recapitulate determinants of in vivo treatment response, and 2) the limited ability of available assays to extract treatment-specific data integral to the complexities of therapeutic responses1,2,3. Three-dimensional (3D) tumour models have been shown to restore crucial stromal interactions which are missing in the more commonly used 2D cell culture and that influence tumour organization and architecture4,5,6,7,8, as well as therapeutic response9,10, multicellular resistance (MCR)11,12, drug penetration13,14, hypoxia15,16, and anti-apoptotic signaling17. However, such sophisticated models can only have an impact on therapeutic guidance if they are accompanied by robust quantitative assays, not only for cell viability but also for providing mechanistic insights related to the outcomes. While numerous assays for drug discovery exist18, they are generally not developed for use in 3D systems and are often inherently unsuitable. For example, colorimetric conversion products have been noted to bind to extracellular matrix (ECM)19 and traditional colorimetric cytotoxicity assays reduce treatment response to a single number reflecting a biochemical event that has been equated to cell viability (e.g. tetrazolium salt conversion20). Such approaches fail to provide insight into the spatial patterns of response within colonies, morphological or structural effects of drug response, or how overall culture viability may be obscuring the status of sub-populations that are resistant or partially responsive. Hence, the full benefit of implementing 3D tumour models in therapeutic development has yet to be realized for lack of analytical methods that describe the very aspects of treatment outcome that these systems restore. Motivated by these factors, we introduce a new platform for quantitative in situ treatment assessment (qVISTA) in 3D tumour models based on computational analysis of information-dense biological image datasets (bioimage-informatics)21,22. This methodology provides software end-users with multiple levels of complexity in output content, from rapidly-interpreted dose response relationships to higher content quantitative insights into treatment-dependent architectural changes, spatial patterns of cytotoxicity within fields of multicellular structures, and statistical analysis of nodule-by-nodule size-dependent viability. The approach introduced here is cognizant of tradeoffs between optical resolution, data sampling (statistics), depth of field, and widespread usability (instrumentation requirement). 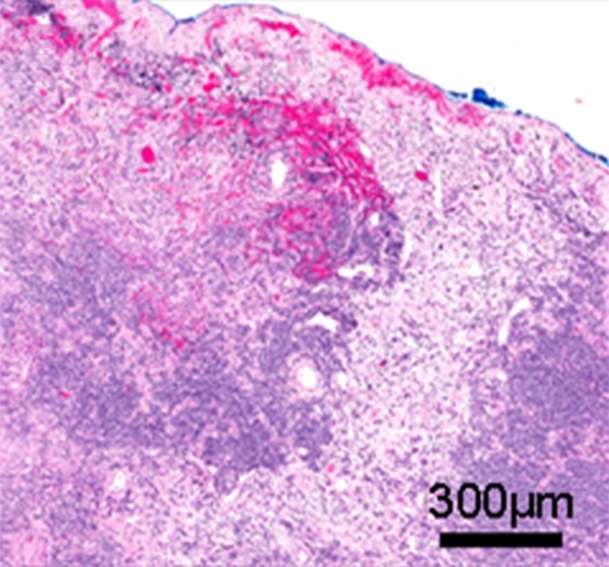 Specifically, it is optimized for interpretation of fluorescent signals for disease-specific 3D tumour micronodules that are sufficiently small that thousands can be imaged simultaneously with little or no optical bias from widefield integration of signal along the optical axis of each object. 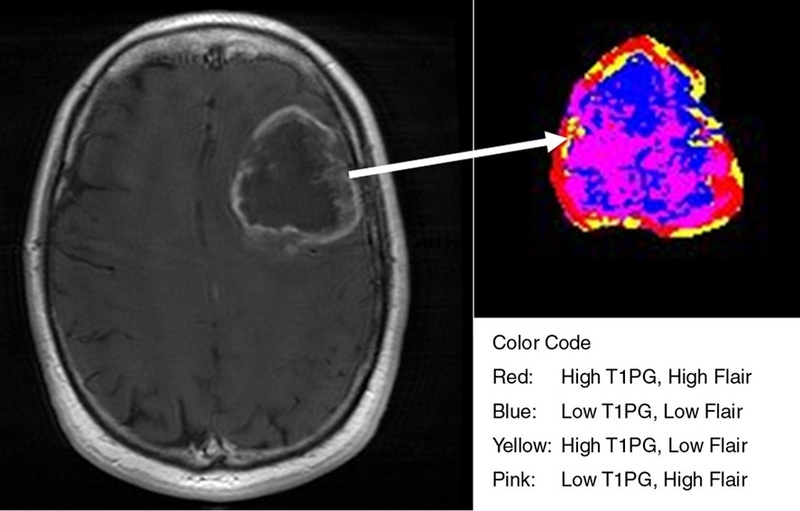 At the core of our methodology is the premise that the copious numerical readouts gleaned from segmentation and interpretation of fluorescence signals in these image datasets can be converted into usable information to classify treatment effects comprehensively, without sacrificing the throughput of traditional screening approaches. It is hoped that this comprehensive treatment-assessment methodology will have significant impact in facilitating more sophisticated implementation of 3D cell culture models in preclinical screening by providing a level of content and biological relevance impossible with existing assays in monolayer cell culture in order to focus therapeutic targets and strategies before costly and tedious testing in animal models. Using two different cell lines and as depicted in Figure 1, we adopt an ECM overlay method pioneered originally for 3D breast cancer models23, and developed in previous studies by us to model micrometastatic ovarian cancer19,24. This system leads to the formation of adherent multicellular 3D acini in approximately the same focal plane atop a laminin-rich ECM bed, implemented here in glass-bottom multiwell imaging plates for automated microscopy. The 3D nodules resultant from restoration of ECM signaling5,8, are heterogeneous in size24, in contrast to other 3D spheroid methods, such as rotary or hanging drop cultures10, in which cells are driven to aggregate into uniformly sized spheroids due to lack of an appropriate substrate to adhere to. Although the latter processes are also biologically relevant, it is the adherent tumour populations characteristic of advanced metastatic disease that are more likely to be managed with medical oncology, which are the focus of therapeutic evaluation herein. The heterogeneity in 3D structures formed via ECM overlay is validated here by endoscopic imaging ofin vivo tumours in orthotopic xenografts derived from the same cells (OVCAR-5). Figure 1: A simplified schematic flow chart of imaging-based quantitative in situ treatment assessment (qVISTA) in 3D cell culture. (This figure was prepared in Adobe Illustrator® software by MD Glidden, JP Celli and I Rizvi). A detailed breakdown of the image processing (Step 4) is provided in Supplemental Figure 1. 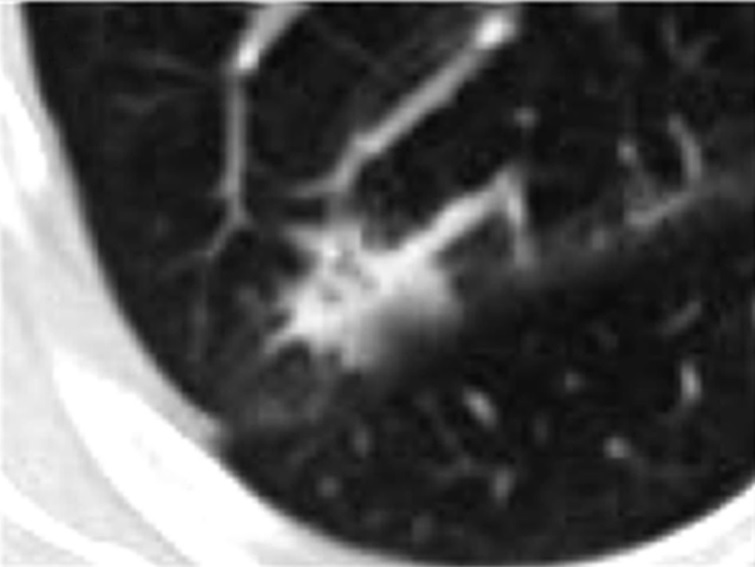 A critical component of the imaging-based strategy introduced here is the rational tradeoff of image-acquisition parameters for field of view, depth of field and optical resolution, and the development of image processing routines for appropriate removal of background, scaling of fluorescence signals from more than one channel and reliable segmentation of nodules. 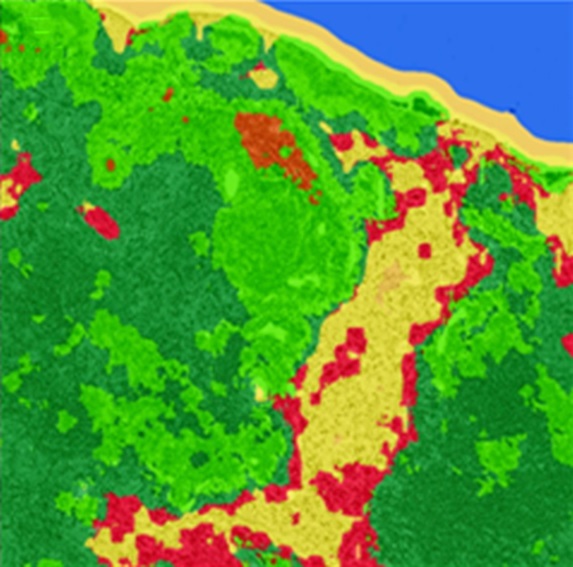 In order to obtain depth-resolved 3D structures for each nodule at sub-micron lateral resolution using a laser-scanning confocal system, it would require ~ 40 hours (at approximately 100 fields for each well with a 20× objective, times 1 minute/field for a coarse z-stack, times 24 wells) to image a single plate with the same coverage achieved in this study. Even if the resources were available to devote to such time-intensive image acquisition, not to mention the processing, the optical properties of the fluorophores would change during the required time frame for image acquisition, even with environmental controls to maintain culture viability during such extended imaging. 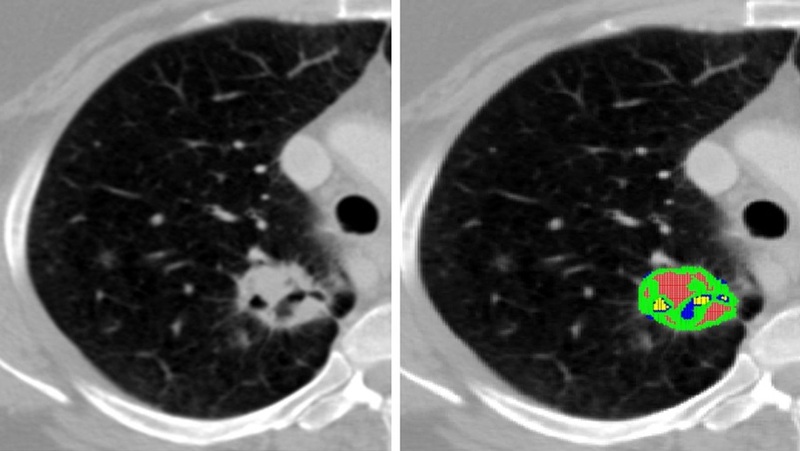 The approach developed here, with a mind toward adaptation into high throughput screening, provides a rational balance of speed, requiring less than 30 minutes/plate, and statistical rigour, providing images of thousands of nodules in this time, as required for the high-content analysis developed in this study. These parameters can be further optimized for specific scenarios. For example, we obtain the same number of images in a 96 well plate as for a 24 well plate by acquiring only a single field from each well, rather than 4 stitched fields. This quadruples the number conditions assayed in a single run, at the expense of the number of nodules per condition, and therefore the ability to obtain statistical data sets for size-dependent response, Dfrac and other segmentation-dependent numerical readouts. We envision that the system for high-content interrogation of therapeutic response in 3D cell culture could have widespread impact in multiple arenas from basic research to large scale drug development campaigns. As such, the treatment assessment methodology presented here does not require extraordinary optical instrumentation or computational resources, making it widely accessible to any research laboratory with an inverted fluorescence microscope and modestly equipped personal computer. And although we have focused here on cancer models, the methodology is broadly applicable to quantitative evaluation of other tissue models in regenerative medicine and tissue engineering. While this analysis toolbox could have impact in facilitating the implementation of in vitro 3D models in preclinical treatment evaluation in smaller academic laboratories, it could also be adopted as part of the screening pipeline in large pharma settings. With the implementation of appropriate temperature controls to handle basement membranes in current robotic liquid handling systems, our analyses could be used in ultra high-throughput screening. In addition to removing non-efficacious potential candidate drugs earlier in the pipeline, this approach could also yield the additional economic advantage of minimizing the use of costly time-intensive animal models through better estimates of dose range, sequence and schedule for combination regimens. In one common approach to testing for cancer, doctors add biochemicals to blood samples. Those biochemicals attach biological “labels” to the cancer cells, and those labels enable instruments to detect and identify them. However, the biochemicals can damage the cells and render the samples unusable for future analyses. There are other current techniques that don’t use labeling but can be inaccurate because they identify cancer cells based only on one physical characteristic. The new technique images cells without destroying them and can identify 16 physical characteristics — including size, granularity and biomass — instead of just one. It combines two components that were invented at UCLA: a photonic time stretch microscope, which is capable of quickly imaging cells in blood samples, and a deep learning computer program that identifies cancer cells with over 95 percent accuracy. Deep learning is a form of artificial intelligence that uses complex algorithms to extract meaning from data with the goal of achieving accurate decision making. The study, which was published in the journal Nature Scientific Reports, was led by Barham Jalali, professor and Northrop-Grumman Optoelectronics Chair in electrical engineering; Claire Lifan Chen, a UCLA doctoral student; and Ata Mahjoubfar, a UCLA postdoctoral fellow. Photonic time stretch was invented by Jalali, and he holds a patent for the technology. The new microscope is just one of many possible applications; it works by taking pictures of flowing blood cells using laser bursts in the way that a camera uses a flash. This process happens so quickly — in nanoseconds, or billionths of a second — that the images would be too weak to be detected and too fast to be digitized by normal instrumentation. The new microscope overcomes those challenges using specially designed optics that boost the clarity of the images and simultaneously slow them enough to be detected and digitized at a rate of 36 million images per second. It then uses deep learning to distinguish cancer cells from healthy white blood cells. Normally, taking pictures in such minuscule periods of time would require intense illumination, which could destroy live cells. The UCLA approach also eliminates that problem. “The photonic time stretch technique allows us to identify rogue cells in a short time with low-level illumination,” Chen said.